When reggae emerged in the late 1960s, it came as a cultural bombshell not only to Jamaica but the whole world. Reggae has influenced societies throughout the world, contributing to the development of new counterculture movements, particularly in Europe, in the USA and Africa. Indeed, by the end of the 1960s, it participated in the birth of the skinhead movement in the UK. In the 1970s, it impacted on Western punk rock/ pop cultures and inspired the first rappers in the USA. Finally, since the late 1970s onwards, it has also influenced singers originating from Africa, Alpha Blondy, Tiken Jah Fakoly and Lucky Dube being perfect examples. Thus, my paper will examine the impact of Jamaican reggae music on the worldwide cultural universe, especially on Europe, the USA and Africa. Lorsque le reggae émergea à la fin des années 1960, il eut un impact culturel considérable non seulement à la Jamaïque, mais à travers le monde. Le reggae a influencé les sociétés du monde entier, contribuant au développement de nouveaux mouvements contre-culturels, en particulier en Europe, aux États-Unis et en Afrique. En effet, à la fin des années 1960, il concourut à la naissance du mouvement skinhead au Royaume-Uni. Dans les années 1970, il eut un impact certain sur les cultures punk rock/ pop occidentales et inspira les premiers rappeurs aux États-Unis. Enfin, depuis la fin des années 1970, il influence également de nombreux chanteurs originaires d’Afrique, Alpha Blondy, Tiken Jah Fakoly et Lucky Dube étant de parfaits exemples. Ainsi, cet essai se propose d’étudier l’impact du reggae jamaïcain dans l’univers culturel mondial, notamment en Europe, aux États-Unis et en Afrique. 1Reggae is the musical genre which revolutionized Jamaican music. When it emerged in the late 1960s, it came as a cultural bombshell not only to Jamaica but the whole world. 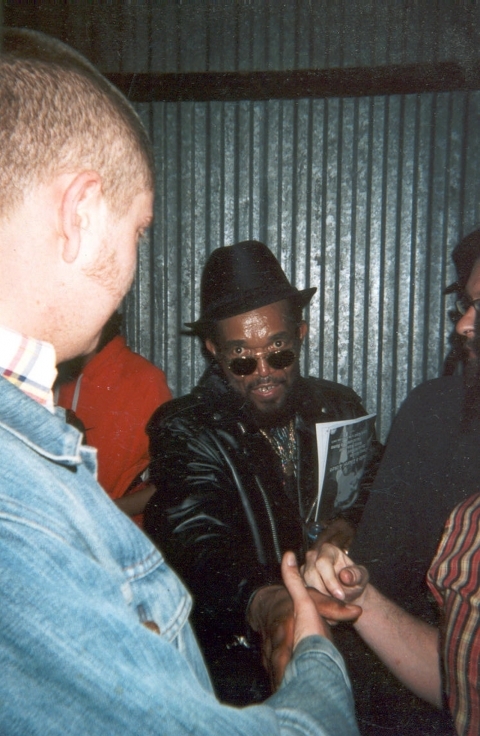 Its slow jerky rhythm, its militant and spiritual lyrics as well as the rebellious appearance of its singers, among others, have influenced musical genres, cultures and societies throughout the world, contributing to the development of new counterculture movements, especially in Europe, in the USA and Africa. Indeed, by the end of the 1960s, it participated in the birth of the skinhead movement in the UK. In the 1970s, it impacted on Western punk rock/ pop cultures, influencing artists like Eric Clapton and The Clash. During the same decade, it inspired the first rappers in the USA, giving rise to hip-hop culture. Finally, since the end of the 1970s, it has also influenced singers originating from Africa, the Ivorian singers Alpha Blondy and Tiken Jah Fakoly, and the South African Lucky Dube clearly illustrating this point. Thus, my paper will examine the impact of reggae music on the worldwide cultural universe, focusing particularly on Europe, the USA and Africa. 2“Between 1953 and 1962 […] approximately 175, 000 Jamaicans from town and country boarded the banana boats destined for London, Liverpool and other British ports” (Chevannes 1994: 263). And despite the 1962 Commonwealth Immigrants Act, the immigration of Jamaicans to the UK, especially England, remained rather significant throughout the 1960s. Thus, in the late 1960s-early 1970s, England had a large Jamaican community. Most of Jamaican migrants lived in working-class districts such as Tottenham (North London) and Brixton (South London), the latter having probably the largest concentration of Jamaican immigrants in the UK. It was basically in that context that the Jamaican popular music of the time, ska, rocksteady and early reggae, gained followers within the Jamaican expatriate communities through the sound system subculture1. In the meantime, a youth counterculture movement was surfacing in the same London working-class districts: the skinheads. 3 Roddy Moreno, interview conducted by myself on 29 September 2008. 4“As much of Britain kept itself distant from the immigrants the skinheads embraced Jamaican style and music. We would attend all night Blues parties together and many young Blacks were skinheads themselves. Remember the [Jamaican] migrants were relatively poor and so the working class kids had more in common with them than with the middle and upper classes of Britain. We lived on the same streets, went to the same schools and we partied together. While much of Britain saw the migrants as ‘those black people,’ we skinheads saw them as ‘our black mates.’ Of course there were skinheads with racist attitudes, but most skinheads had black mates and most skinhead gangs had black kids amongst their ranks. […] Skinhead would not exist without Jamaica”3. A Shanty Town” (Desmond Dekker 1966). 6Some of the above-mentioned artists even dedicated some of their songs to this faithful audience. Lauren Aitken’s “Skinhead Train” (1969) and The Hot Red All Stars’s “Skinhead Don’t Fear” (1970) clearly illustrate this fact. 5 Mark Downie, interview conducted by myself on 30 September 2008. 7“By 1975, skinheads had grown up and moved on to different things, and the upsurge of far-right politics in the form of the National Front was actively leafleting the football terraces, targeting past and present skinheads, and effectively hijacking the fashion”5. 6 For further information on the skinhead movement, see George Marshall 1991. 8The influence of the BNF led to a split within the movement becoming divided between traditional skinheads, namely non-racist ones who remained faithful to Jamaican music, and Neo-Nazi skinheads (called boneheads by traditional skinheads) who turned to a sort of violent punk music. However, despite this regrettable divide, the traditional skinhead movement has perpetuated itself, giving rise to similar branches throughout the world, especially in Europe and the USA6. 7 Don Letts, interview conducted by myself on 24 March 2009. 11“This was so early in the punk movement that there weren’t any punk record to play. So I played what I loved, dub reggae, and lucky for me the punks loved it too, although I did slip in a bit of New York Dolls, Iggy and the Stooges and the MC5 occasionally. They liked the bass lines and the anti-Establishment stance and the fact that the songs were about something (and they didn’t mind the weed either!)”7. Oh, Guns of Brixton” (The Clash 1979). 12This song clearly represents the anger of the people against a society which makes them live in misery, the police incarnating this society. Actually, punk rock and reggae music, though completely different from a musical perspective, shared some similarities, to begin with the fact that they both were counterculture musical movements, spreading a message of rebellion against the Establishment. In other words, punks and Rastas shared a same idea of freedom and of rebellion against social norms and the setting of these norms8. Throughout the 1970s and 1980s, numerous other British pop and rock artists were inspired by reggae and paid tribute to it, among which: The Rolling Stones; Eric Clapton –– in 1974, he cut Bob Marley’s “I Shot The Sheriff” which was a true hit ––; Nina Hagen, who is German by birth but made a career in Britain; The Police led by Sting –– “Roxanne” was a worldwide hit in 1978 ––; Culture Club led by Boy George and so forth. 13Most recently, reggae, dub and dancehall have also greatly influenced the British electronic musical scene which finds its roots in the remix technique quasi-intrinsic to Jamaican music since the emergence of dub in the late 1960s (Veal 2007: 2). It gave rise to new musical genres such as drum and bass, jungle and trip-hop, the latter being pioneered by artists like Massive Attack, Portishead or Tricky. The three of them are originating from Bristol (South West, England). Besides remix, the sound system subculture has also greatly impacted on the British electronic musical scene, resulting in the rave or free parties, namely events held outdoors or in disused buildings. Spiral Tribe, a group of artists originating from London were among the first to organize this type of unlicensed parties in the UK in the early 1990s. It is worth adding that dreadlocks and ganja which belong to the world of ravers also seem to result from the Jamaican reggae universe. Last but not least, Jamaican reggae has obviously fathered British reggae whose emblematic figures remain Steel Pulse, Aswad, UB 40, Maxi Priest and Bitty McLean among others. Such musical and social phenomena are not exclusively linked with the UK, but they have spread throughout Europe. France, for instance, is another European country which has been greatly influenced by reggae both musically and culturally. 14In the late 1970s, lured by the rebellious aspect of reggae, pop singers like Bernard Lavilliers and Serge Gainsbourg were among the first white French artists to record reggae rhythms. In the meantime, numerous young people of African and French Caribbean origins recognized themselves in the socio-politico-spiritual message conveyed by Jamaican reggae music, which gave birth to a French reggae school pioneered by artists like Pablo Master, Princess Erika, Daddy Yod, General Murphy, Daddy Nuttea or Tonton David. The previous mentioned artists remained on top until the mid-1990s when they got overshadowed by a new wave of reggae artists mostly composed of white singers such like Pierpoljak, Sinsemilia, Tryo, Baobab and Mister Gang among others. However, since the early 21st century, a new generation of reggae/ dancehall artists has emerged headed by people mainly coming from the French West Indies. Among the latter, it is important to mention singers like Lord Kossity, Mr. Janik, Raggasonic and more recently Admiral T, Straika D and Yaniss Odua. Qu’est-ce que je vois au lointain ? Peux tu me dire ce qui se passe ? Qui représente une menace ? Est-ce toi qui ne veux pas perdre la face ? What I see looming on the horizon? Can you tell me what’s happening? Is it you who doesn’t want to lose face? Oh oh oh blah blah blah” (my own translation). 16Tonton David’s song is clearly a militant song dealing with Black history. It denounces slavery, African unity and solidarity as well as Black pride. This tune is obviously built in the purest Rasta tradition. Raggasonic’s incisive lyrics are against racism and French extreme right-wing embodied by the FN and its long-term leader Jean-Marie Le Pen. They also implicitly defend the multicultural and multiethnic aspects of French society. As for Pierpoljak’s “Je sais pas jouer,” it rebels against the conventional society which, according to the singer, indoctrinates people with false social beliefs and tends to recommend for white artists like him to embrace pop-rock career and certainly not a reggae career reserved for Blacks. Pierpoljak’s song is a hymn to freedom finding its origins in the old tradition of French rebellious thought mentioned earlier. So for almost three decades, reggae and dancehall, just like rap, rock and techno music, have been part of the French musical universe and numerous French people, from various backgrounds and origins, have embraced the Rasta lifestyle and ideology. 17Similar ethno-musical phenomena have been taking place, more or less importantly, in the rest of Europe such as in Italy11 or Germany12, as well as in the USA and Africa. 18The major impact that reggae music has had on the USA concerns rap music. Indeed, in the 1950s and 1960s, like the UK, the USA welcomed hundreds of thousands of Jamaican migrants, many of whom settling in the South Bronx in New York. These migrants remained in contact with Jamaica through regular trips to their homeland and never lost touch with the cultural evolution that took place on the island. Thus, when in the late 1960s-early 1970s, toasting also known as DJ style became in vogue in Jamaica, pioneered by artists like U Roy or Big Youth, this new genre deriving from reggae rapidly reached New York. This Jamaican DJ culture coupled with American urban “ingredients” gave rise to rap music and the hip-hop culture in the 1970s. Jamaican-born DJ Kool Herc, who moved to the Bronx, New York, in 1967, was instrumental in originating rap music and hip-hop culture (Chang 2005: 67-85). In the following decades, numerous American rappers of Jamaican background became famous such as Notorious B.I.G., Busta Rhymes or Heavy D among others. 19The cultural relationship between hip-hop and reggae cultures implies the existence of common points between these two universes. Firstly, they both emerged from a context of oppression and both reflect the lifestyle and sensibilities of black inhabitants of urban ghettos. Secondly, both cultures rebel against the Establishment. Indeed, Afrika Bambaataa and Public Enemy’s rap as well as Big Youth’s toasting and Burning Spear’s reggae have been denouncing for decades social injustices faced by Blacks respectively in the USA and in Jamaica. In addition, these committed artists fight against Eurocentrism and advocate in their own way Pan-Africanism. 20The Jamaican population is primarily of African descent, reggae has its roots in ancient African musical forms and since its appearance reggae singers have constantly paid tribute to the motherland Africa. Not surprisingly, reggae has had a strong impact on the African continent. Actually, it is the charismatic and powerful Bob Marley who first hit the continent by the end of the 1970s with tunes like “Africa Unite” (1979) or “Zimbabwe” (1979). 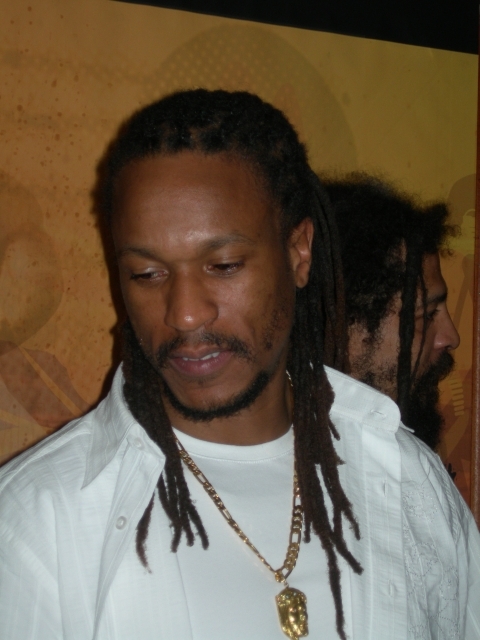 He rapidly became a symbol for African youth and many started identifying with Jamaicans and the Rasta culture. Indeed, it was easy for young Africans to compare themselves with Jamaicans for they were both black people living in harsh conditions –– for instance, Jamaican ghettos are rather similar to African ones ––, and above all they were both oppressed by white people from a political, financial and social perspective. Consequently, numerous Africans started playing reggae and eminent artists emerged such as Alpha Blondy –– who is considered by some critics as one of the greatest reggae singers in the world –– and Tiken Jah Fakoly in Cote d’Ivoire or the late Lucky Dube in South Africa. 13 For further information on the role of France in the Ivorian crisis, see Kroubo Dagnini 2008a: 117. 21Before moving on the impact of reggae on Cote d’Ivoire, let’s have a quick look at the history of this West African country. It will help us to better understand the overall situation. Cote d’Ivoire borders the countries of Liberia, Guinea, Mali, Burkina Faso and Ghana. The most ancient and principal populations include the Kru, originating from Liberia, the Senoufo, coming from Burkina Faso and Mali, the Mandika (also known as Mandigo or Malinke), coming from Guinea, and the Akan (Agni, Baoulé), originating from Ghana. France took an interest in Cote d’Ivoire in the 1830s-1840s, enticing local chiefs to grant French commercial traders a monopoly along the coast. France’s main goal was to stimulate the production of exports. Coffee, cocoa and pal oil crops were soon planted along the coast and a forced-labour system became the backbone of the economy. In 1893, Cote d’Ivoire was made a French colony after a long war against the Mandika forces led by warlord Samory Touré and the Baoulé people. In 1958, Cote d’Ivoire became an autonomous republic before being given full independence in 1960, headed by Félix Houphouët-Boigny, General de Gaulle’s loyal servant. During his 33-year time in power, Félix Houphouët-Boigny openly favoured his ethnic group (Baoulé) and allowed France to exploit and plunder the mineral resources of his country (coffee, cocoa, hevea, banana, cotton). In return, French Presidents de Gaulle, Pompidou, Giscard d’Estaing and Mitterrand assured him a peaceful reign and turned a blind eye to the fortune he built to the detriment of the Ivorian people. Theses ambiguous, close and opaque relationships that the former Ivorian President had with France inspired François-Xavier Verschave, co-founder of Survie association, who popularized the expression Françafrique. Françafrique (“FrancAfrica”) is a term that ironically refers to the expression used in 1955 by Félix Houphouët-Boigny to describe the “good” relationships between France and Africa. It is a secret criminal club composed of economic, political ad military actors, operating both in France and Africa, organized in lobbies and networks, and centred on the misappropriation of two revenues: raw materials and the ‘Public Aid for Development’ (APD). […] This system is naturally hostile to democracy. The term also refers to confusion, a domestic familiarity looking towards liberties: presidents’ offspring, ministers and generals all take part in trafficking” (Agir ici/ Survie 1996: 8-9; my own translation). The expression also means France à fric, François-Xavier Verschave emphasizing that over the course of four decades, hundreds of billions of euros misappropriated from debt, aid, oil, cocoa…or drained through French importing monopolies have financed French political-business networks –– all of them offshoots of the main neo-Gaullist network ––, shareholders’ dividends, the secret services’ major operations and mercenary expeditions (Diop, Tobner and Verschave 2005: 106-107; my own translation). Houphouët-Boigny ruled with an iron hand until his death in 1993 and was succeeded by a Baoulé of his choice, Henri Konan Bédié, who led the same “FrancAfrican” politics until December 24th, 1999, the date at which he was overthrown by General Robert Guéï (a member of the Yacouba ethnic group originating from Liberia). A presidential election was held in October 2000 in which Guéï vied with Laurent Gbagbo (a member of the Bété ethnic group originating from Liberia). The latter, Houphouët Boigny’s historic opponent, won the election. It is worth noting that Henri Konan Bédié, accused of embezzlement, and former Prime Minister Alassane Ouattara, whose nationality was questioned, were disqualified from running. Some people saw it as the fruit of a political arrangement between Laurent Gbagbo and Robert Guéï. However, on 26 October 2000, socialist Laurent Gbagbo, Houphouët Boigny’s historic political opponent and therefore France’s most hostile political opponent too, became the fourth president of the Republic of Cote d’Ivoire. On 19 September 2002, only two years after his coming to power, rebels allegedly coming from the north of the country tried to overthrow him but they failed. Nevertheless, they managed to control several strategic cities located in the middle and the north of the country. Since then, despite the French and UN interventions, Cote d’Ivoire has been divided between the pro-government party South (composed mainly of Christians) and the North (composed mainly of Muslims), held by rebels. As a result, Cote d’Ivoire would suffer from an ethnic and possible religious conflict. Obviously some ethnic tensions are palpable in this country, all the more so since they have been exacerbated by politicians from all sides for decades. Yet, it would seem that economic elements also played a great part in sparking off the crisis. Indeed, it would seem that France itself, which did not want to lose its Ivorian pré-carré with Laurent Gbagbo’s unexpected coming to power, launched the conflict. This is all the more probable since, a short time before the 2002 coup attempt, Laurent Gbagbo was about to challenge French multinationals’ financial interests in Cote d’Ivoire, considering the recourse to international invitations to tender. It is worth keeping in mind that multinationals such as Bouygues and Bolloré, among others, have been controlling every aspects of national life –– transport, water and electricity. Another crucial fact to be mentioned in this crisis is that large oil, gas and gold fields were discovered in and offshore the country, natural resources which are likely to reinforce French interest in Cote d’Ivoire and consequently which are likely to give them the idea of orchestrating a coup13. 22Thus, like most African countries, Cote d’Ivoire’s history has been associated with colonialism, neo-colonialism, tribalism, political manoeuvres, tyrannies, corruption, and the plundering of natural resources by the former colonial power. So, like Jamaica, Cote d’Ivoire has been a favorable place for the explosion and development of reggae which has become the principal medium to point the finger at the scourges previously mentioned. Such plagues are denounced by Alpha Blondy and Tiken Jah Fakoly who are the indisputable ambassadors of reggae in Cote d’Ivoire and the genuine spearheads of reggae in Africa. It’s a bloody shame oh yeah! It’s a mighty shame oh Lord! See Babylonians are coming around and messing around…” (Alpha Blondy 1986). They have burned Rwanda…” (my own translation). 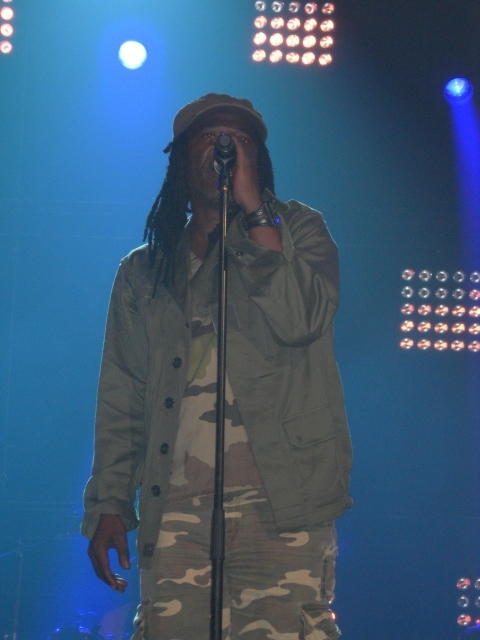 24Alpha Blondy and Tiken Jah Fakoly are therefore among the greatest reggae singers in Africa, if not in the world. In Cote d’Ivoire, most reggae singers model themselves upon them, including Ismaël Isaac, Ras Goody Brown, Pablo Uwa, Naphtaline, Kajeem and Beta Simon just to name a few, and reggae pulse has become the heartbeat of the country. Cote d’Ivoire really positions itself among the major reggae countries in the world. Like the French case, the growth of reggae in Cote d’Ivoire has been accompanied by significant social impacts. 14 Tyrone Downie, interview conducted by myself on 8 February 2008. 26“The first time I went to Abidjan, I was astonished by the fact that all cafés played reggae, all bands played reggae, you could hear reggae everywhere, in taxis, at people’s houses, at dances, in the ghetto, EVERYWHERE! I said to myself, ‘I am in Africa or in Jamaica?’ Even in some traditional music you can hear reggae sounds. Then Tiken told me, ‘You know Tyrone, Cote d’Ivoire is the second reggae country in the world after Jamaica!”14. 15 Abdou Aziz Kane, interview conducted by myself on 28 December 2004. 27Indeed, reggae is everywhere in Cote d’Ivoire, which has resulted in a “Rastafarization” of Ivorian society with more and more people wearing dreadlocks, wearing Ethiopian colours and smoking ganja, among other things, especially among poor urban youth. The Rasta culture is such a vital part of society in Cote d’Ivoire that a Rasta village was born a few years ago in the district of Vridi in Abidjan. This is a place where Rastas, reggae musicians, singers, painters and some other artists dealing with Rasta culture usually meet. Moreover, Alpha Blondy himself recorded the video clip of his song “Demain t’appartient” over there. Nevertheless, even if young people in Cote d’Ivoire have been identifying with Jamaican reggae music and Rasta culture, elders generally have a low opinion on these musical and cultural movements which they still associate with drugs and gangsterism. Furthermore, as mentally ill people commonly wear dreadlocks (simply because they never comb their hair), they usually consider dreadlocks a dirty and messy hairstyle, if not insanity. One could conclude this part quoting Dr Abdou Aziz Kane, a Rastafarian from Senegal living in France who sadly remarked: “Africans have apparently forgotten that wearing dreadlocks used to be part of an ancestral tradition in Africa. Check your history!”15. 28South Africa, with apartheid (officially abolished in 1991), is indisputably the African country which best symbolizes racial and social injustices mentioned earlier. In this extremely tense socio-political climate, a voice emerged to denounce such evils: Lucky Dube, Alpha Blondy and Tiken Jah Fakoly’s counterpart, the emblematic figure of South African reggae. Throughout his fertile career which he started in 1980, Lucky Dube never stopped denouncing discrimination, segregation and exclusion, which black South Africans were the victims of. He also advocated unity among people. Among his most representative albums, one must mention Slave, Prisoner and Victims. Lucky Dube was killed in October 2007, in the Johannesburg suburb where the criminality rate is, like Kingston’s, one of the highest in the world. 29To conclude on the importance of reggae music in the worldwide cultural universe, it is essential to mention the influence of reggae in Latin America, especially in Brazil with the development of samba-reggae since the early 1980s as well as in Puerto Rico, Panama or Costa Rica with the success of reggaeton since the early 2000s. It is also crucial to emphasize the Pacific region. As Jennifer Raoult claims in her article entitled “La scène reggae de Nouvelle-Zélande” (“The Reggae Scene of New Zealand”), reggae and Rastafari are extremely popular in New Zealand as well as in New Caledonia and Australia, especially among the native people. Indeed, like Jamaicans and Africans, Maori, Aborigines and Kanaks have experienced colonialism, enslavement, genocides and denial of their traditions and religious beliefs. So, many of them have been recognizing themselves through reggae songs’ lyrics and the Rastafari movement, which in a way help them to recover their rights and dignity. Last but not least, reggae music and Rastafari are getting rather popular in Asia too, in Japan in particular as showed the papers of Shinichiro Suzuki (Shinshu University) and Shuji Kamimoto (Kyoto University) presented during the 2008 ACS Crossroads Conference which took place at the University of the West Indies (UWI) in Mona, Jamaica, and respectively entitled ““Samurai Looking to the West”: Japan and Its Others as (Un)sung in Japanese Reggae”16 and “Spirituality within Subculture: Rastafarianism in Japan.”17 Noting that Bob Marley’s concerts in Japan, New Zealand and Australia in April 1979 are credited with being the genesis of reggae music and Rasta culture in these regions of the world. 30In conclusion, the impact of reggae and Rastafari on the worldwide cultural universe is colossal. It is not an overstatement to say that almost the whole world have been culturally influenced by reggae music and its Rastafarian message. How can we explain such a scattering? It would seem that Jamaican large migrations as well as Bob Marley’s huge success have played a major role in spreading these fundamental elements of Jamaican culture throughout the world. Besides, foreigners appear to be captivated by reggae music because of its militant, rebellious and spiritual message as well as its positive and universal message dealing with the concept of unity. Rasta symbols such as dreadlocks, Ethiopian colours, ganja or military clothing also play an important part in charming foreign audience. In other respects, a final remark could be made: the great importance of reggae and Rastafari in the worldwide cultural universe raise the question of the place of reggae and Rastafari in Caribbean studies in France. Like rock, punk or hippie movements, reggae and Rastafari have influenced societies from a musical, cultural and political point of view. For that reason, they really can not be ignored, especially in the field of Caribbean Studies, which in France and the French West Indies, unfortunately, tend to focus on topics like tourism, migrations or environmental geography. Agir ici/ Survie (1996). Dossier noir de la politique africaine de la France n°7. France-Cameroun, Croisement dangereux !, Paris, L’Harmattan. Bonacci, G. (2003). « De la diffusion musicale à la transmission religieuse : reggae et rastafari en Italie » in G. Bonacci et S. Fila-Bakabadio (dir), Musiques populaires. Usages sociaux et sentiments d’appartenance. Dossiers africains, Paris, EHESS, p.73-93. Bradley, L. (2000). Bass Culture, Londres, Penguin Books. Chang, J. (2005). Can’t Stop Won’t Stop, New York, Picador. Chevannes, B. (1994). Rastafari Roots and Ideology, New York, Syracuse University Press. Diop, B.B., O. Tobner et F-X. Verschave (2005). Négrophobie. Paris : Éditions les Arènes. Kroubo, Dagnini J. (2008a). «Dictatures et protestantisme en Afrique noire depuis la décolonisation: le résultat d’une politique françafricaine, et d’une influence américaine certaine», Historia Actual Online, 17 :113-128. Kroubo Dagnini, J. (2008b). Les origines du reggae : retour aux sources. Mento, ska, rocksteady, early reggae, Paris, L’Harmattan. Letts, D. (2008). Culture Clash: Dread Meets Punk Rockers, Londres, SAF Publishing. Marshall, G. (1991). Spirit of ’69: A Skinhead Bible, Dunoon, S.T. Publishing. Mbiti, J-S. (1970). Concepts of God in Africa, Londres, SPCK. Moore, J-B. (1993). Skinheads Shaved for Battle, Bowling Green, OH, Popular Press. Raoult J. (2006). «La Scène Reggae de Nouvelle Zélande». Reggae.fr. 20 Octobre 2006. URL : <http://www.reggae.fr/liste-articles/6_841_La-Scene-Reggae-de-Nouvelle-Zelande.html>, dernière consultation: 8 décembre 2008. Salewicz, C. et A. Boot (2001). Reggae Explosion: histoire des musiques de Jamaïque, Paris, Éditions du Seuil. Sherlock, P. and H. Bennett (1998). The Story of the Jamaican People, Kingston, Ian Randle Publishers. Veal, M-E. (2007). Dub: Soundscapes & Shattered Songs in Jamaican Reggae, Middletown, Wesleyan University Press. White, G. (1967). “Rudie, Oh Rudie”. Caribbean Quarterly, 13(3) : 39-45. Aitken, Laurel (1969). “Skinhead Train” (Laurel Aitken). Londres, Nu Beat, NB 047-A, 45 tours. Blondy, Alpha and The Wailers (1986). “Bloodshed in Africa” (Alpha Blondy). Blondy, Alpha and The Wailers. 1986. Jerusalem. Paris: Pathé Marconi EMI, 7464642, CD, chanson n°1. Blondy, Alpha (2007). « Demain t’appartient » (Alpha Blondy et Lester Bilal). Blondy, Alpha,. 2007, Jah Victory, Paris: Mediacom, MED 0307, CD, chanson n°5. Clapton, Eric (1974). “I Shot The Sheriff” (Bob Marley). New York: RSO Records, 2090 132-A, 45 tours. Clash, The (1977). “Police and Thieves” (Junior Murvin et Lee Perry). Clash, The. 1977. The Clash. Londres: CBS Records, CBS 82 000, 33 tours, face B, chanson n°4. Clash, The (1979). “The Guns Of Brixton” (Paul Simonon). Clash, The. 1979. London Calling. New York: CBS, 460114 4, cassette, face A, chanson n°10. David, Tonton (1990). « Peuples du monde » (David Grammont et j. Boudhouallal). Paris: Virgin, 90621, 45 tours. Dekker, Desmond (1966). “Shanty Town” (Desmond Dekker). Kingston: Beverley’s, WIRL LK 1687-1, 45 tours. Dube, L. (1989). Slave. Newton: Shanachie Records, SH 43060, CD. Dube, L. (1990). Prisoner. Newton: Shanachie Records, SH 43073, CD. Dube, L. (1993). Victims. Newton: Shanachie Records, SH 45008, CD. Hot Red All Stars, The (1970). “Skinhead Don’t Fear”. Londres: Torpedo, TOR 05-A, 45 tours. Marley, B. and The Wailers (1977). “Punky Reggae Party” (Bob Marley et Lee Perry). Londres: Island Records, WIP 6410-B, 45 tours. Marley, B. and The Wailers (1979). “Africa Unite” (Bob Marley). Londres: Island Records, WIP 6597-A, 45 tours. Marley, Bob and The Wailers (1979). “Zimbabwe” (Bob Marley). Londres: Island Records, WIP 6597-A, 45 tours. Pierpoljak (1998). « Je sais pas jouer » (Pierpoljak). Pierpoljak. 1998. Kingston Karma. Paris: Barclay, 559 206-2, CD, chanson n°1. Police, The (1978). “Roxanne” (Sting). Londres: A&M Records, AMS 7348-A, 45 tours. Raggasonic (1995). « Bleu, Blanc, Rouge» (Big Red et Daddy Mory). Raggasonic. 1995. Raggasonic. Paris: Source Records, 7243 8 40934 2 6, CD, chanson n°10. Tiken Jah Fakoly (2002). « Françafrique» (Tiken Jah Fakoly). Tiken Jah Fakoly. 2002. Françafrique, Paris: Barclay, 589613-2, CD, chanson n°1. 1 Sound systems emerged in the late 1940s in Kingston’s ghettos. This subculture appeared for precise reasons. First, at the time, only the white and brown elite had access to theatres and clubs. Similarly, radio was not within the reach of everyone. Last but not least, both clubs and radio played folk mento songs and jazz, but certainly not rhythm and blues which was in vogue among youth during the decade of the 1950s. So, the black ghetto youth turned to dancehall, accessible to everyone, where censorship did not exist and where music was definitely rousing. It is worth pointing out that major Jamaican musical genres such as ska, rocksteady and reggae were largely popularized by sound systems. This subculture was brought along to the UK by Jamaican immigrants. For further details, see Kroubo Dagnini 2008b: 104-119. 2 The term “dancehall” refers to the space in which popular Jamaican recordings were aired by local sound systems. 4 Tony Harcup, Senior Lecturer in the Department of Journalism Studies at the University of Sheffield, interview conducted by myself on 26 October 2008. 8 For further information on the links between the punk and reggae movements in the UK during the 1970s, see Don Letts 2008. 9 The May 1968 events started with huge demonstrations in French industry and among students, and culminated in a general strike which was perceived both as a challenge to the Establishment and a cry for freedom. 10 The 2005 civil unrest consisted of a series of riots and violent clashes, involving mainly the burning of cars and public buildings. This wave of violence was triggered by the accidental death of two teenagers, Zyed Benna and Bouna Traoré, in Clichy-sous-Bois, a working-class commune in the Eastern suburbs of Paris. They were chased by the police – though they were guilty of nothing but “being of foreign origins” – and tried to hide in a power substation where they were electrocuted. 11 See Giulia Bonacci, “De la diffusion musicale à la transmission religieuse : reggae et rastafari en Italie,” in Giulia Bonacci et S. Fila-Bakabadio, (dirs. ), 2003, Musiques populaires. Usages sociaux et sentiments d’appartenance. Dossiers africains, Paris, EHESS, 73-93. 12 German reggae/ dancehall DJ Tilmann Otto, better known by his stage name Gentleman, is today one of the most popular reggae artists in the world. 16 Shinichiro Suzuki, ““Samurai Looking to the West”: Japan and Its Others as (Un)sung in Japanese Reggae,” paper presented on Sunday 6 July 2008 at UWI, Mona, Jamaica, during the 2008 ACS Crossroads Conference. 17 Shuji Kamimoto, “Spirituality within Subculture: Rastafarianism in Japan,” paper presented on Sunday 6 July 2008 at UWI, Mona, Jamaica, during the 2008 ACS Crossroads Conference.